Photography provided by Delucca Gaucho Pizza & Wine. 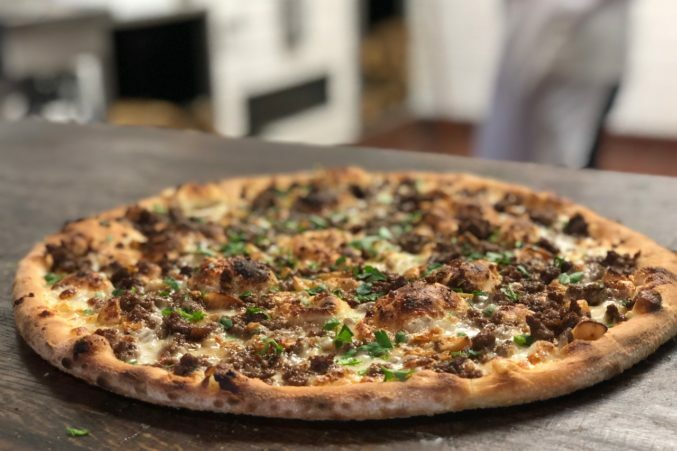 You won't leave hungry at Delucca Gaucho Pizza & Wine. 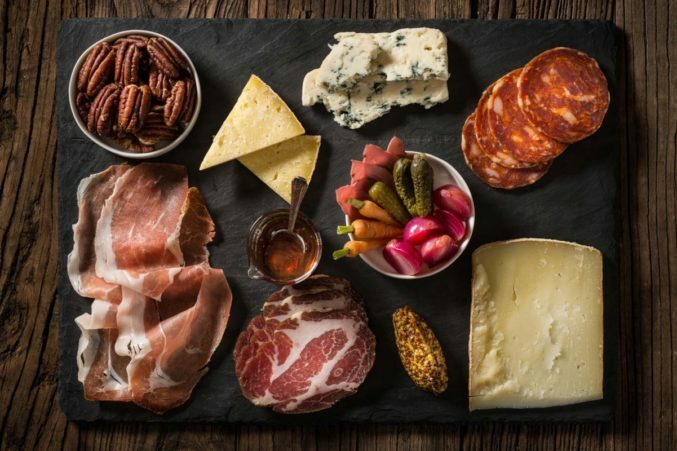 As someone who eats for a living, I’m no stranger to the often gluttonous endeavors of writing about the Dallas food scene. Yet something felt extra daunting when tasked to anonymously visit and review the newly opened Design District location of Delucca Gaucho Pizza & Wine for a never-ending parade of pizzas—even though polishing off an entire large pie by myself wouldn’t be a challenge if my brain allowed me to set aside the fat-gram estimations that would haunt me well into the next day’s workout. Situated in the former Quill space next to Oak, the green, white, and black interior looks exactly as it did when Quill opened. But it’s gorgeous, so it’s nice that all the thoughtful design touches live on in a new incarnation. Once seated, we received a beer, wine, and cocktail menu to peruse while our server explained the concept, which comes from the mind of restaurateur Evandro Caregnato, a man who’s opened more than 60 churrascarias around the world and has even written a book on the topic. Next, a cup of velvety smooth lobster bisque hit the table. No need for a spoon, simply sip to your soul’s content. As fantastic as the pizza turned out to be, I wanted to stop right there and snorkel my way through an ocean of this liquid gold. But the time had come to focus on the headliner of the evening: pizza that begins with dough proofed a minimum of 36 hours and topped with house-made fiore di late mozzarella. 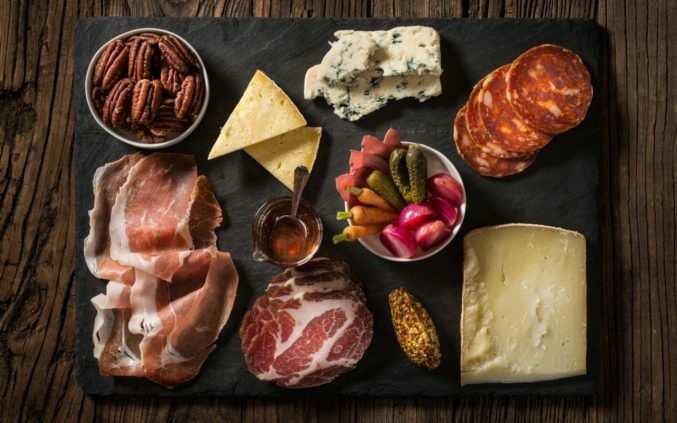 When the soup cups and charcuterie board were cleared, we received a round cardboard card that would control our caloric fate, the green side indicating that we’re still hungry and want more carbs and cheese. The red side means enough is enough. On our visit, no matter how prominently we displayed the red side, gauchos kept coming with pizza. It’s not the worst service infraction in the world, but does make it difficult to carry on a conversation when someone pops by the table every three minutes with new offerings. Because here, it’s all about pacing. Yet in the name of thoroughness and the secret oath I took as a food writer, I tried all 20 pizzas. Fear not for my clogging arteries, the slices measure only about an inch wide, allowing anyone to sample multiple varieties and also cut down on food waste should somebody get a piece they don’t like. Varieties range from traditional American favorites to selections featuring Brazilian and internationally inspired ingredients. The delectable options include Turkish lamb with sumac onions; soprressata salami and candied bacon; hous-emade organic sausage with barbecue sauce and jalapeños; chicken tikka masala; four-cheese and truffle; cream of spinach and bacon; sautéed shrimp and fontina; Brazilian hearts of palm; Portuguese-style with eggs, prosciutto cotto and olives; prime pepperoni with fresh tomato sauce; and, hot buffalo chicken. For dessert, bananas flambé; dulce de leche with toasted coconut; roasted pear, gorgonzola and honey; and, blackberry and mascarpone. If you’re keeping count, you’ve realized five pizzas have been omitted. That’s because I’d like to point out the five best, which not coincidentally represent the five slices I ate above and beyond tasting all 20. 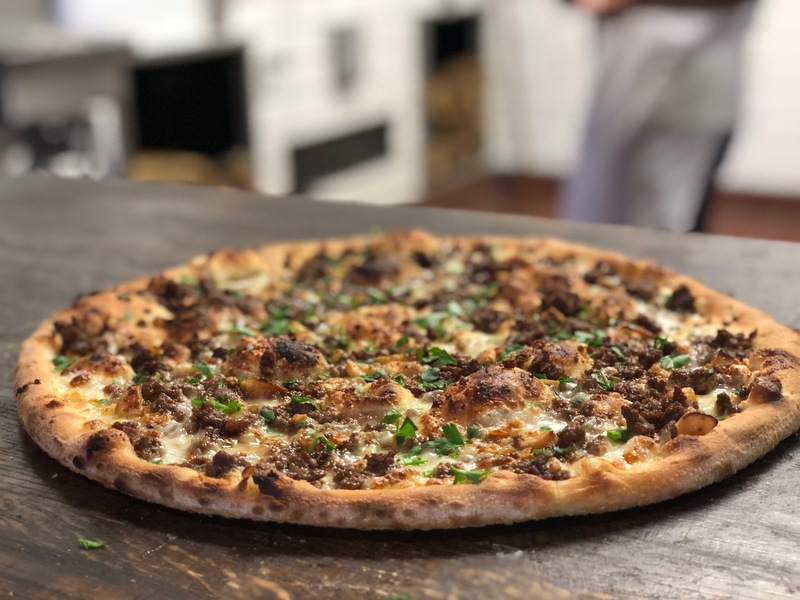 The garlic picanha, made from house-ground picanha steak, slow-roasted garlic, fresh mozzarella and parsley represents the perfect blending of two gaucho-delivered concepts: Brazilian meats on a pizza. Ditto the chicken catupiry, an addictive blend of shredded chicken, light tomato sauce, mozzarella and imported catupiry, a popular Brazilian cream cheese. As far as classics, the simple-yet-impeccable margherita with fresh basil shines above even my traditional pepperoni go-to. The Mexican elotes pie with nuggets of sweet corn, fresh mozzarella, parmesan, Mexican cream sauce and finely chopped cilantro tasted straight off an elotes cart in the best possible way. And, as cliché as it might be in the realm of ubiquitous dessert pizzas, the Italian Nutella version with a drizzling of mascarpone cheese completely won over my sweet tooth thanks to its nice balance of sweet and salty. The next morning, my scale alerted me that I was up a whopping three pounds. But I must confess, dinner at Delucca Gaucho was worth every additional hour on the elliptical that afternoon—and the entire day of green smoothies that came along with it.